A just debuted executive overview, backed by peer-reviewed research, highlights the health benefits of carpeting. 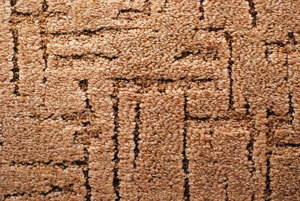 It shows carpet serves as a filter to reduce allergens and improve indoor air quality. Published at the recently held International Conferences on Indoor Air and Climate (ISIAQ), the full-colour overview delivered by Racine Industries showcases studies which reveal that carpeting maintained using Racine’s dry extraction system improves indoor air quality (IAQ) and reduces the number of airborne particulates and allergens. “Consumers have long recognised the comfort and noise-reducing qualities of carpet, but rarely is carpet recognised for its health benefits,” said Fritz Rench, CEO, Racine Industries. According to the company’s press statement, ‘the executive overview highlights several published and newly released field studies examining the use of carpet versus hard flooring material and the impact of an ongoing maintenance program on the reduction of allergens and dust mites. One study included in the executive overview and published at ISIAQ highlights research gathered throughout nine years in 166 homes and 16 schools. The research found that carpet cleaning removed about 75 to 99 percent of the dust mite, cat and mould allergens from the carpet. In another study, conducted throughout 10 schools over a three-year period in six states, carpet cleaning with the dry extraction system reduced levels of carpet dust by more than 90 percent. In addition, in 13 of the classrooms tested, carpet cleaning reduced the spore load by 99 percent.